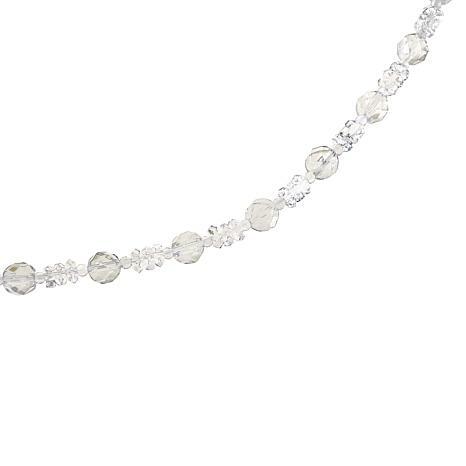 This necklace, dotted with clusters of sparkling Herkimer "diamond" quartz, delivers the luxe, layered look you love. You can pair this pretty piece with just about any outfit in your closet for chic, sophisticated looks almost any time! Necklace Measurements: Approx. 36"L x 1/4"W; adjusts between 28" and 36"
Absolutely love the bolo closure, and find that I usually wear it showing in a Y. It has the extra shine that I love due to the Rondelles. Easy to layer with this piece! A very important edition to my Herks, I wear it often. 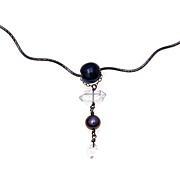 I am a crystal lover, and I would rather wear my crystal collection! This necklace is a keeper. The stones are clear and I love the multi sizes, and the placement of the stones.The design is perfect. 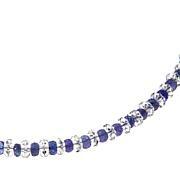 I love wearing the adjustable slide clasp in the front.I now have two of Debs necklaces. Next ill be looking for a 8 inch braclet to match. 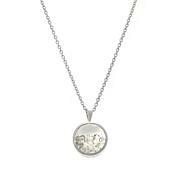 Love this, it's different than some of the other Herkimer necklaces I have! Love wearing the bolo in front. Very pretty either way you wear it! Its so beautiful. Wore it immediately!